Privacy and exclusivity, Impiana Private Villas Cemagi Beach is styled on the traditional Balinese compound sprawl across an impressive one hectare ground. 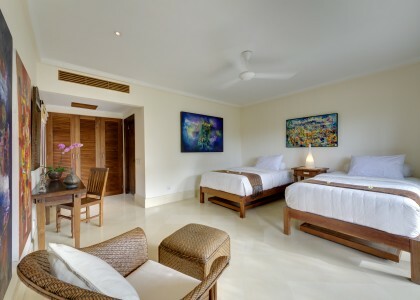 The Balinese architectural designed villas are set amongst the luscious tropical gardens to provide guests with comfort, solitude and extravagance treat to their vacations. 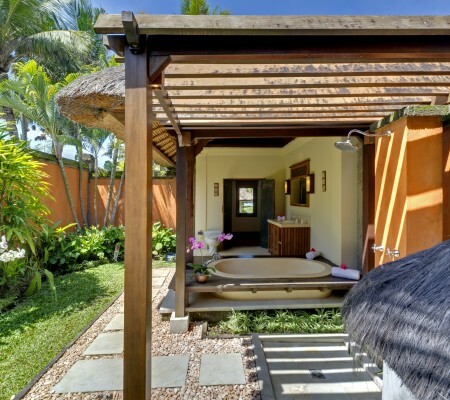 Each villa has a welcoming wooden Balinese doors entrance, a Palimanan stone staircase that leads to a trickling fish pond adorned with water lilies and a view that goes all the way to the ocean. The Garden Villas overlooks the 18-metre infinity pool, the garden, the beach and the ocean beyond. The antique Javanese Joglo (wooden house) forms the sixth bedroom pavilion adding to the Indonesian flair and charm that makes this villa so unique for an intimate escape, ideal for honeymooners.